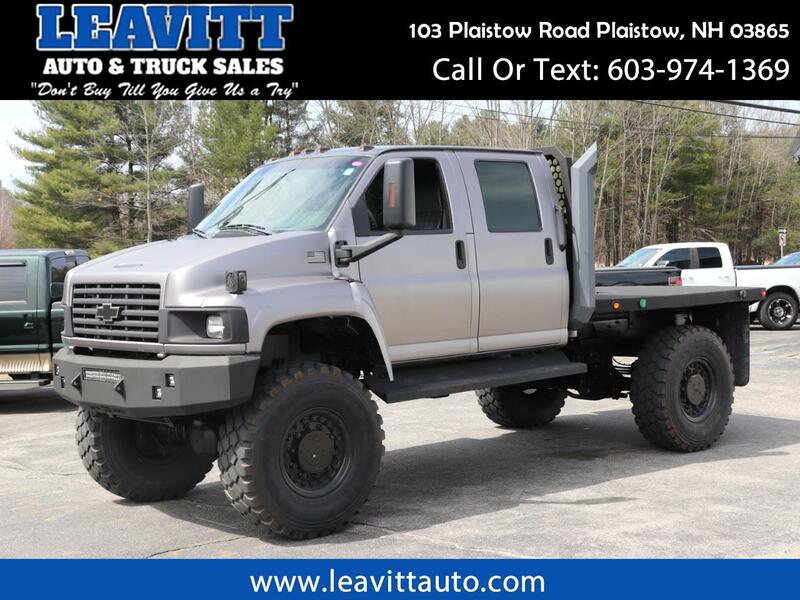 2003 CHEVROLET C4500 KODIAK, CUSTOM BUILT BY DISCOVERY CHANNEL'S "DIESEL BROTHERS", 6.6L LB7 DURAMAX DIESEL, 64MM ALLIGATOR PERFORMANCE TURBO, BUILT ATS TRANSMISSION, EFI LIVE 5 SWITCH TUNER, 9 TON MRAP AXELS, 46" TIRES, 20' MRAP WHEELS, MATTE ALUMINUM GRAY WRAP, AIR RIDE DRIVERS AND PASSENGERS SEATS, 5TH WHEEL AND GOOSENECK HITCH ASSEMBLY, DIESEL POWER FRONT BUMPER WITH BUILT IN LED LIGHT BAR, OCTOGON STACKS, HEADACHE RACK, POWER WINDOWS/LOCKS/MIRRORS, CD PLAYER, AM/FM RADIO, A/C, REAR CLIMATE CONTROL. SOLD WITH NH STATE INSPECTION STICKER, AS-IS. Message: Thought you might be interested in this 2003 GMC C4500.